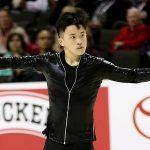 The skating world is coming to terms with the sudden and unimaginable loss of 2014 Olympic bronze medalist Denis Ten, who was stabbed to death July 19 in an apparent robbery attempt in Almaty, Kazakhstan. Ten was 25-years-old. Ten made history by becoming the first skater from Kazakstan to stand on the podium at the Olympic Games (winning bronze in 2014), World Championships (winning silver in 2013, bronze in 2015), Asian Winter Games (winning gold in 2011) and the Four Continents Championships(gold in 2015). 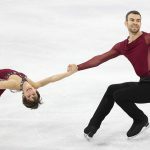 In addition to winning the bronze in Sochi in 2014, he competed at the 2010 Vancouver Games and the 2018 PyeongChang Games. Ten was the official ambassador for the Olympic Bidding Committee for Almaty 2022. Since 2013, he has produced his own skating show, “Denis Ten and Friends”. His 2018 show was held in June. The staff at Figure Skaters Online are deeply saddened by the passing of Denis Ten. The skating world lost a brilliant skater who with his immense artistry and deep passion, greatly touched our sport. Our thoughts and prayers go out to Denis’s family, friends and the skating community. He will be sorely missed. Please feel free to share your memories of Denis by leaving a comment below.